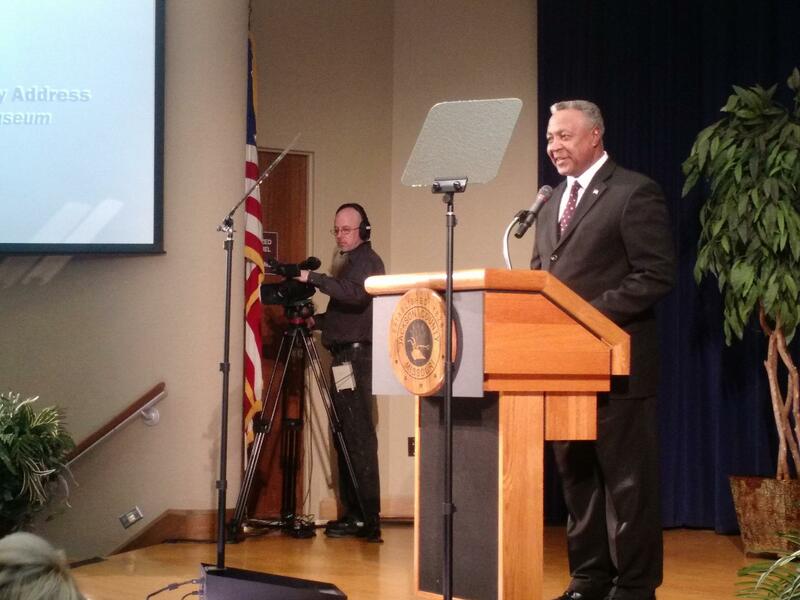 Jackson County Executive Frank White gave his first State of the County address Friday, calling for higher wages, a bigger emphasis on parks and steady leadership. As second baseman for the Kansas City Royals, Frank White helped bring the team a big first: a World Series win. On Friday, more than 30 years after the 1985 World Series, White celebrated two more firsts: his first State of the County address as the first African-American Jackson County Executive. "Today I feel like a rookie again," White said with a wide smile and to much applause. "I have never experienced a first quite like this." Dozens of civic leaders and community members packed the Harry S. Truman Presidential Library and Museum to listen to White's speech, in which he called for steady decision-making and leadership. "We will be bold but prudent," White said. "That effort starts with making sure we have the best-trained, best-paid associates, who are excited to do their jobs." 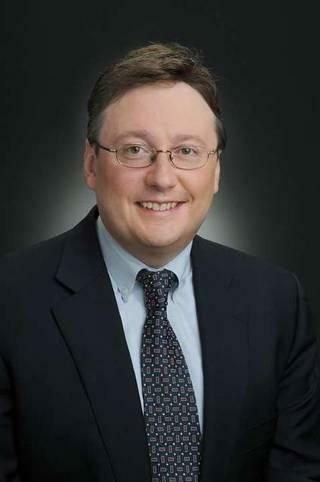 The Jackson County Legislature picked White to succeed former Executive Mike Sanders after Sanders resigned just a year into his third term. White will serve through the end of the year until an election is held. Dozens filled the Harry S. Truman Library and Museum to hear White's speech, including former Executive Mike Sanders. White said that a recent move to improve wages for guards at the Jackson County Detention Center is a good start, but wages need to be improved throughout the county. He also said that he wanted to encourage the use of the county's numerous parks to draw more residents together from Kansas City and the suburbs. "The city and county were like two different worlds (when I grew up)," White said. "If I can accomplish one thing in my time as Jackson County Executive, it will be to change that perception." In a news conference afterward, White also said he knew and approved of a raid conducted early Friday morning by several local police departments and the FBI at the Jackson County Detention Center. "I was aware of it and we supported it," White said. "Anything that's going to make our inmates safer and our employees in the jail safer, then that's what I'm going to support." As for whether he'll run for a full term as county executive, White said he needed to consult with his wife Teresa. "We're going to sit down this weekend and evaluate the pros and cons of the last 30 days," White said. "We'll make a decision as to whether that's something I should look at long term." Cody Newill is a reporter for KCUR 89.3. You can reach him on Twitter @CodyNewill or send him an email at cody@kcur.org. Newly sworn-in Jackson County Executive Frank White says he’ll consider running in November for a two-year term. White, a former Royals player, was the legislature’s unanimous pick to replace Mike Sanders, who served nine years before stepping down earlier this month. Outgoing Jackson County Executive Mike Sanders says after Dec. 31, when he formally resigns from his post, he will be out of politics. At least for now. When asked Tuesday by KCUR's Steve Kraske on Up To Date whether he would consider ever running for political office again, Sanders closed the door, in a sense, but didn't bang it shut. "Not completely, but I don't want to say that door is open any time soon," he said. "I'm not dying, I'm not moving. I'll be around. I would say: in a decade, who knows?" 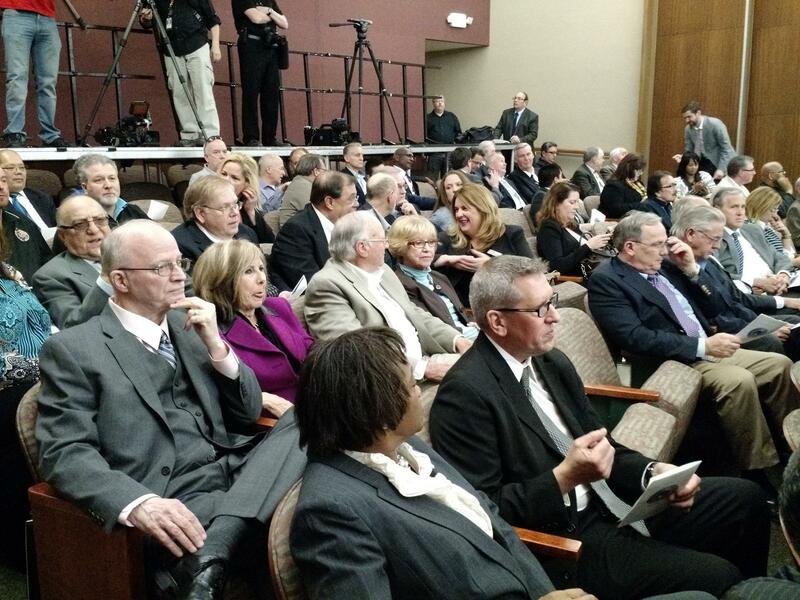 With a cacophony of banging gavels, county leaders and circuit court judges ushered in a new era for the Eastern Jackson County Courthouse. Renovations on the 59-year-old courthouse were completed two weeks ahead of schedule, said County Executive Mike Sanders.